Read on to find out a little more about her and then be sure to hop over to her blog and giver her a warm welcome to the blogging community! Don't forget to follow her blog while you're there so you can keep up with her this school year! Hey all! I am so excited to be featured in Amanda's Budding Bloggers Series! I'm Brittany and I have been blogging over at Excelling in Second for about 1 and 1/2 years! I discovered blogging about 2 years ago. I was so excited to discover new ideas and many wonderful teachers! Reading blogs and writing my own blog has made me a better teacher! I seriously wouldn't know what to do without this fabulous blogging community. I currently teach 2nd grade in Maine. This will be my 4th year teaching. Eek! Where has the time gone! I don't have any children, but I do have 2 amazing fur babies. 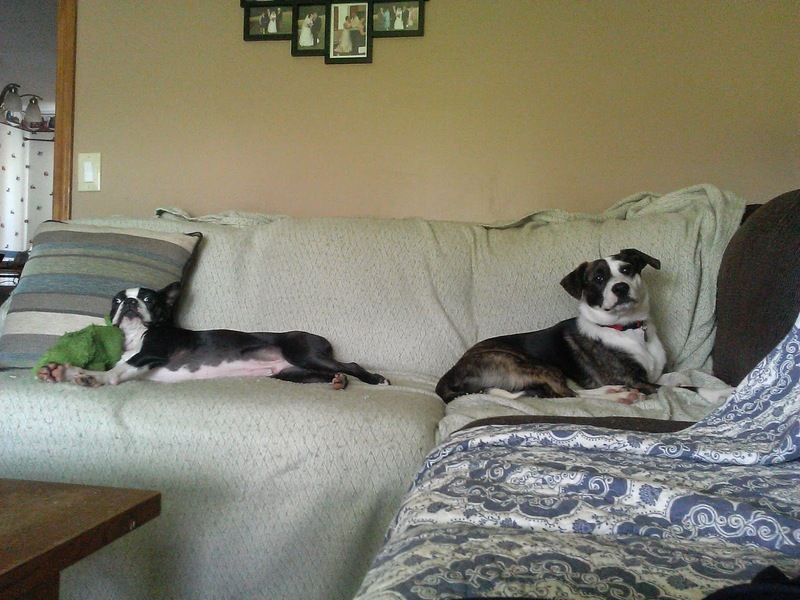 Dexter is on the left and Lilly is on the right! We also have 2 cats named Hermione and Primrose. We like to name our animals after characters from books or t.v. shows! I also love to travel. 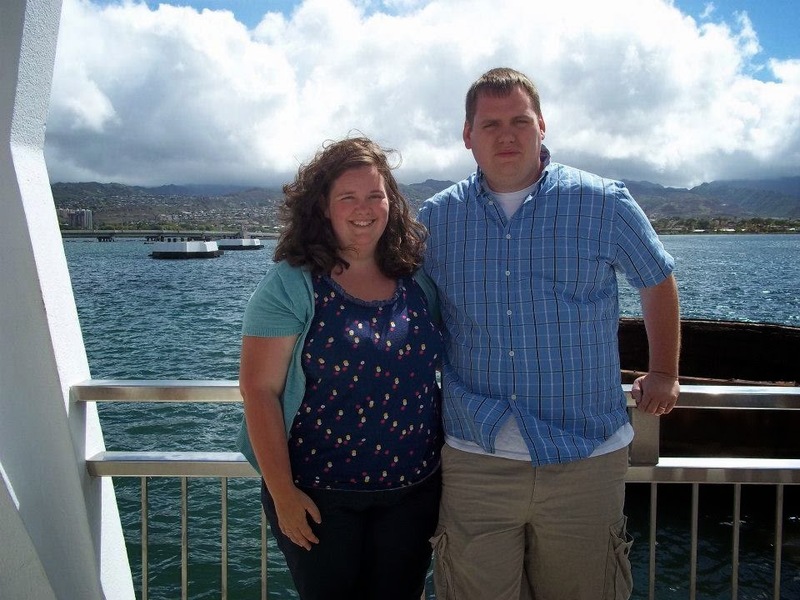 My husband and I went to Hawaii. This was by far my favorite trip. My favorite subject would have to be math! I love finding and/or creating hands-on activities to help students understand math. 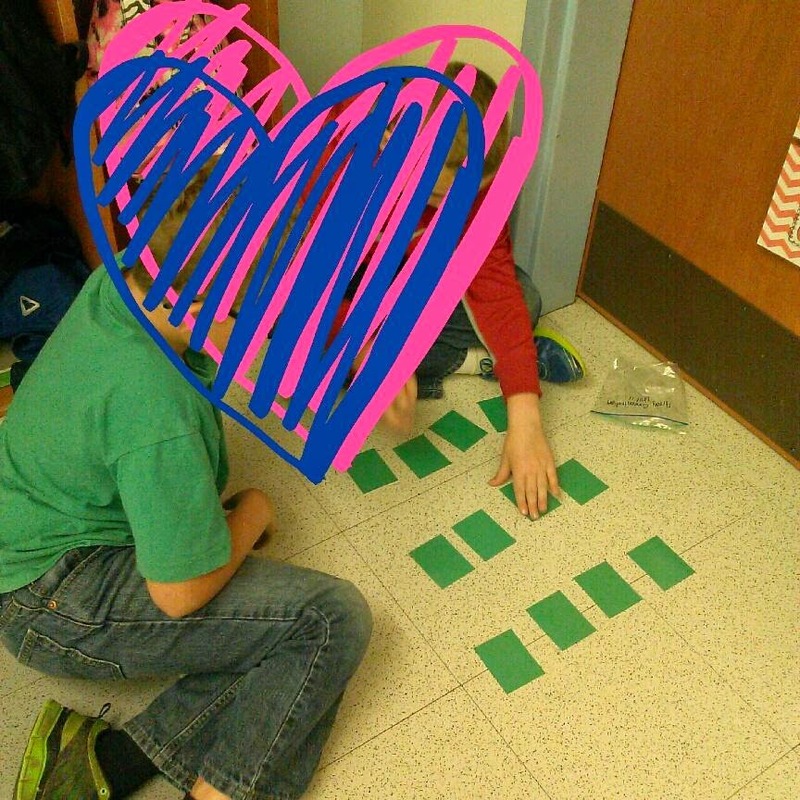 I use guided math in my classroom and I love it! It has completely changed the way I taught this subject. I really feel as if my students have a deeper understanding of mathematical concepts. My students play games after every lesson. They are partnered up based on ability. Their partners change every 1 to 2 weeks. 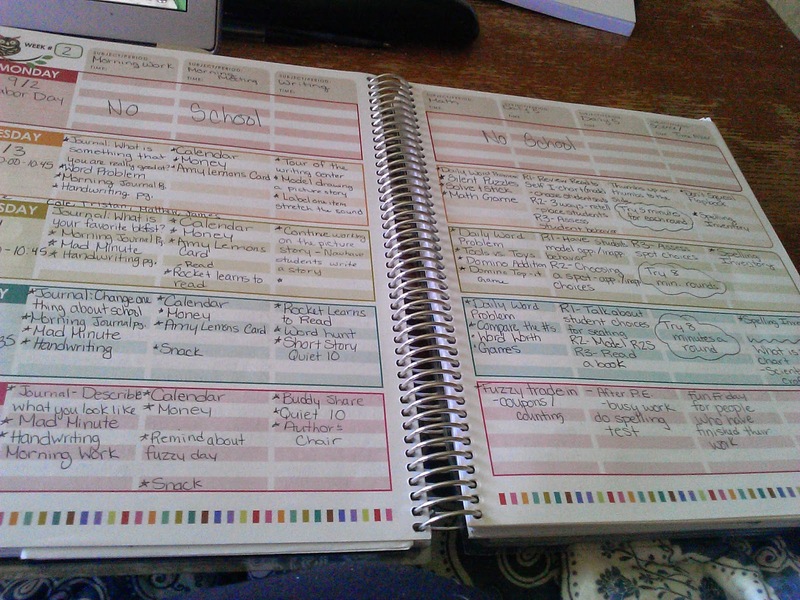 The one teaching resource that I cannot live without would have to be my Erin Condren Teacher Planner. It has everything I need and helps keep me organized. I have no idea what I did before I found this amazing planner. I'm known at school for always being so organized. This is my secret! This is what a typical week looks like. I have a couple of things that help me get through those days. First off, my husband is absolutely amazing. He lets me vent and then takes care of everything so I can just relax. Secondly, working out helps a ton! I used to turn to chocolate and occasionally I still do, but I am on a health journey and I have found that running really makes my stress level plummet. 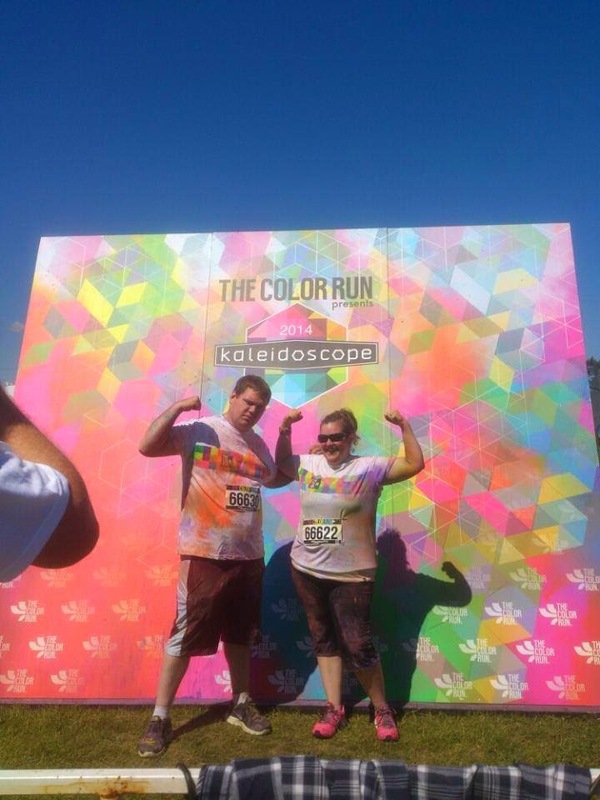 My husband and I after we completed the Color Run in June. We've already signed up for another one in September! A typical day in my classroom consists of many hands-on activities. We play lots of learning games! I have a hard time sitting still and this transfers to my classroom. We are always up and moving! We have lots of discussions in my classroom. It's amazing to hear some of the discussions we have. My favorite activity that we do each year would have to be our 2nd grade mapping activity. At the end of the year the 2nd grade team gets together and plans a mapping activity/scavenger hunt. Students must read clues and use a map to figure out where the next clue is. They must also track their trail on a map. This culminates in finding treasure! I love this activity and look forward to it every year. My blogging goal for this year is to be consistent in posting. It often gets pushed to the back burner when things get busy. I would also like to post more about some of the cool things we do in our classroom, but first that requires me to take photos!! Come visit me at Excelling in Second! Amanda--Thanks for bringing Budding Blogger back! Nice to meet you Brittany. I always love finding new blogs that I don't follow yet. I am so happy I found you. It was great to learn so much about you right away. I have the same goal. I always go through spurts of blogging a ton and then things get busy and pictures are forgotten. I feel like that's when we're doing the most amazing stuff too!! Have you picked up these Forever FREEBIES? Show Me Your Teacher Tote!